The council had submitted a proposal for tax deduction for obtaining and maintaining certification under the Malaysian Timber Certification Scheme (MTCS). 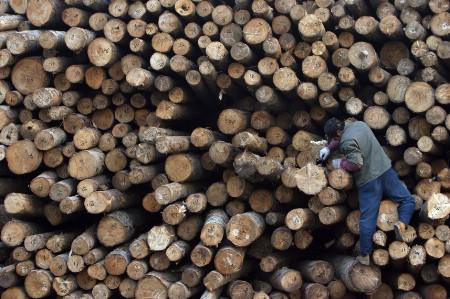 KUALA LUMPUR: The Malaysian Timber Certification Council (MTCC) hopes that incentives are given to forest managers and timber product manufacturers to motivate and encourage further uptake of certification, in an effort to promote sustainable forestry. MTCC chief executive officer, Yong Teng Koon told Bernama that the council had submitted a proposal for tax deduction for obtaining and maintaining certification under the Malaysian Timber Certification Scheme (MTCS). He said this would encourage the uptake of certification in line with increasing demand for certified timber and timber products sourced from sustainably managed forest. MTCC, established in 1998 as an independent and non-profit organisation, has a mandate to develop and operate the MTCS, a voluntary and independent national certification scheme. The MTCS has been endorsed by the Programme for the Endorsement of Forest Certification (PEFC), an international organisation that promotes sustainable forest management (SFM). “MTCS is recognised and accepted by national timber procurement policies in Denmark, the United Kingdom, Germany, Finland, Belgium, Switzerland, France, New Zealand, Japan and the Netherlands,” Yong said. He added MTCS was also recognised under the green building schemes in Malaysia, Singapore, Japan, Australia, Italy, the United Kingdom, Sweden, the United States and Abu Dhabi, United Arab Emirates. The cumulative total export of certified timber products under MTCS from 2001 until June 2017 amounted to 1.37 million cubic metres. Currently, there are 358 companies issued with MTCS Chain of Custody Certificate out of the more than 3,000 timber companies in Malaysia, Yong said. He emphasised that while there was no mandatory requirement for timber-based companies to obtain certification, more companies would be inclined to pursue certification due to demand for sustainably sourced timber products from major importers. “The bulk of timber products certified under MTCS are exported to the European market where there is higher awareness and demand for environmental-friendly materials,” he remarked. With regards to tropical forest, Yong said the issues of concern to the stakeholders were deforestation and forest conversion, unsustainable timber harvesting and degradation, illegal logging, loss of biodiversity, impact on forest dependent communities, global warming and negative impact on tropical timber trade. “MTCS maintains Malaysia’s image as the leading tropical country in implementing SFM and biodiversity conservation,” he said. Timber certification, he pointed out, had also emerged as one of the key tools to improve and promote SFM.